Is there a better alternative to PixelPumper? 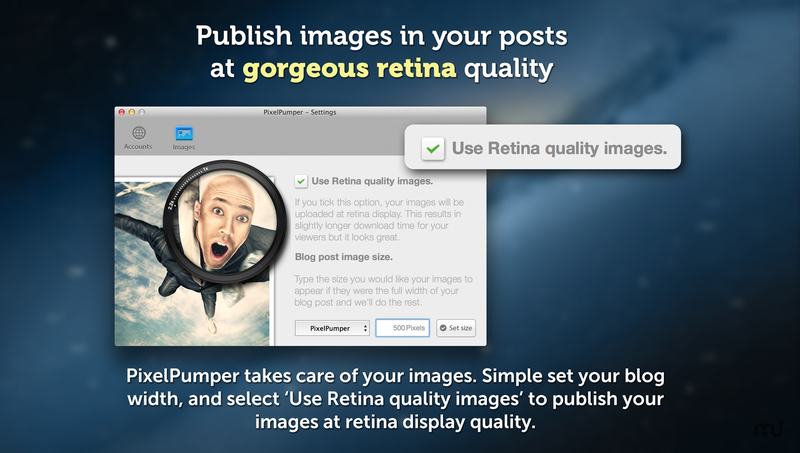 Is PixelPumper really the best app in Internet Utilities category? Will PixelPumper work good on macOS 10.13.4? 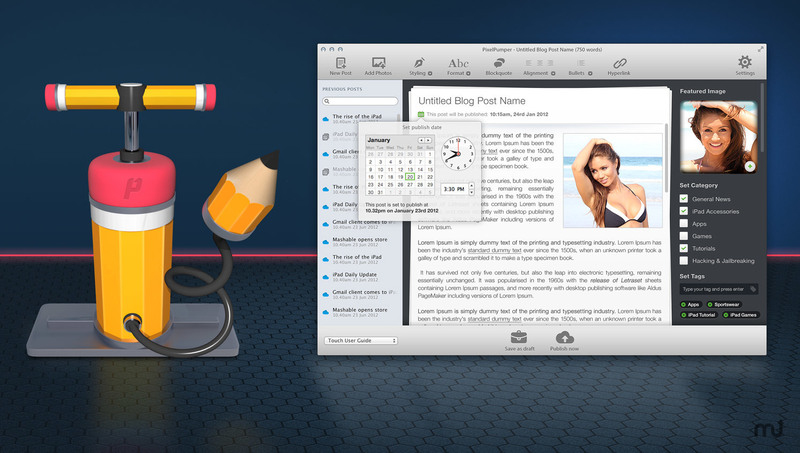 With PixelPumper, you can now create, edit, and publish your blog posts directly from OS X in a beautiful Retina-display interface. It doesn't matter if you host your blog on WordPress.com or self-host, PixelPumper allows you to post to either. Now added: HTML editing and online drafts! PixelPumper needs a rating. Be the first to rate this app and get the discussion started! You can manage multiple blogs from within PixelPumper and quickly switch between your different blogs without having to logout and login over and over. 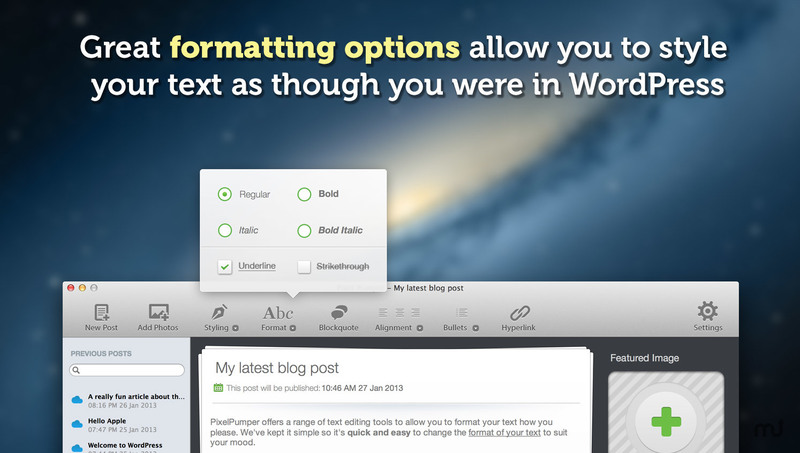 You can even compose blog posts when you are offline, and save the draft to publish when you get back online. 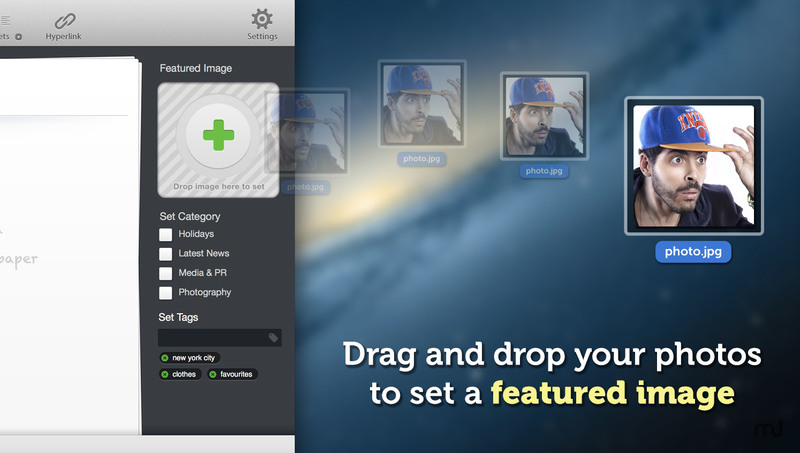 Set your featured images with a simple drag-and-drop, and upload images in Retina quality with a flick on a switch in the settings panel. Scheduling posts for the future is simple with PixelPumper's calendar interface allowing you to set the date and time of your posts accurately and easily.